First trailer for Allen's Coney Island set drama. If you told us a few years ago that Jim Belushi would star in both a new season of Twin Peaks and a Woody Allen movie, we would have called for the men in white coats. 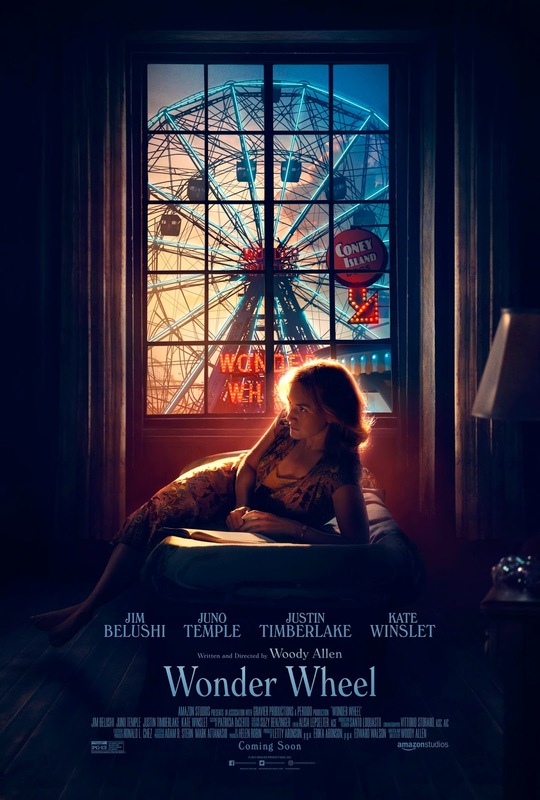 In Allen's latest, Wonder Wheel, Belushi stars alongside Kate Winslet, Juno Temple and Justin Timberlake in a drama set against the backdrop of Coney Island in the 1950s. Wonder Wheel opens in the US on December 1st, but a UK/ROI release has yet to be announced. WONDER WHEEL tells the story of four characters whose lives intertwine amid the hustle and bustle of the Coney Island amusement park in the 1950s: Ginny (Kate Winslet), a melancholy, emotionally volatile former actress now working as a waitress in a clam house; Humpty (Jim Belushi), Ginny’s rough-hewn carousel operator husband; Mickey (Justin Timberlake), a handsome young lifeguard who dreams of becoming a playwright; and Carolina (Juno Temple), Humpty’s long-estranged daughter, who is now hiding out from gangsters at her father’s apartment.